It might surprise you to hear that, just as with things like fashion, food, and holiday vacation spots, there are trends in lice removal. 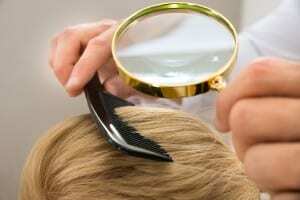 In recent months, Lice Lifters has noticed a few trends in the DFW area. In this article, we’ll explore current trends in lice removal and explain how effective they are. The problem we’ve seen with clients that use products with pesticides, aside from the fact these products can irritate the scalp, is that many times, they simply don’t work. Head lice have grown genetically resistant to the pesticides in many popular over-the- counter lice removal products. That means these over-the- counter products only work about half the time, even when combined with nit combing. So it’s no wonder that DFW families are looking for all-natural alternatives that will get the job done and won’t cause irritation. We recommend using our mint-scented mousse to naturally repel head lice. Additionally, if your child has long hair, look for a mint-scented detangler spray that will make the process of removing head lice much easier and deter head lice from returning. Getting rid of head lice has a reputation for being a messy, gross, and smelly process, but that doesn’t have to be the case. Using one of our products like our Lice Lifters Nit Removal Mousse or Lice Lifters Mint Detangler Spray are safe for you and your family, smells pleasant. 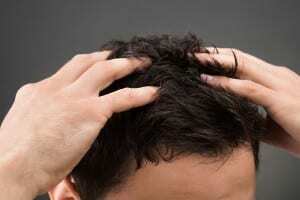 Treating head lice doesn’t have to be a terrible process. We’ve even developed a one-of- a-kind micro-grooved nit comb that’s better at removing nits than any other comb we’ve tried. Give Lice Lifters a call today. Only our company offers a two-pronged treatment that uses the nontoxic, all-natural killing agent developed by our company in conjunction with an intensive comb-out by our expert Lifticians. 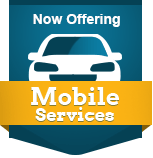 Give us a call at 972-294- 3539 to discuss your options. If your child is in a DFW area school, you’ve likely heard many “do it yourself” lice removal suggestions. The problem is, many of this don’t actually work. In this article, Lice Lifters discusses lice removal tricks that don’t actually work. Let us clarify, these shampoos and other products will kill off come of the head lice, but they also irritate the scalp and can be harmful, when not used according to their instructions. Why use a harsh method when there is a nontoxic, all-natural alternative that is kinder to your child’s scalp and won’t irritate the skin? Most people realize that a nit comb is used for part of the live removal process. However, using a nit comb alone is not an effective lice removal trick. You must use a treatment method that addresses every life stage of lead lice in order to effectively free the scalp of head lice and nits. There are some home remedies which are often tried by our clients before they come to us, but haven’t been fully effective. These include covering the head with mayonnaise, olive oil, or Vaseline and leaving it on overnight. In some cases, clients notices a decrease in head lice, but other treatment methods are needed to fully eradicate the outbreak. If someone in your family is dealing with head lice, give our experienced lice removal technicians a call today at (972) 805-1308. Learn more about our products and services and how they can effectively treat and free your home of head lice and nits.